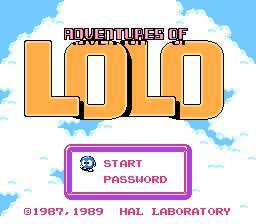 Adventures of Lolo is a puzzle game released in 1990 by HAL Corporation for the NES/Famicom. It is part of the Japanese Eggerland video game series. It was the fifth original game released in the series, but it was released in Japan only. 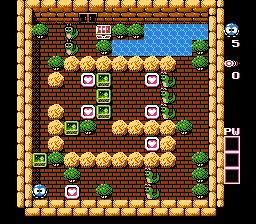 It re-uses the same graphics and music from the US-made compilation Adventures of Lolo, but all the puzzles are new. The gameplay is virtually identical to the previous games. Some of the monster graphics are differently drawn, mainly Gol, Rocky, Skull, Medusa and Don Medusa. Other differences include greater difficulty than Adventures of Lolo. The game features a total of 50 different puzzle rooms, and an actual fight with King Egger at the end. This is the first game in which Lolo can actually fight against Egger himself. Also featured are four hidden Pro puzzle rooms, which are available for players who want to try very challenging rooms. The last five rooms take place in the castle in the sky, which actually has a different tileset than the regular tower. This is the first game to feature different tilesets. Contains 54 rooms: 9 floors with 5 rooms each in the Tower, 1 castle with 5 rooms (i.e. a 10th floor), and 4 Pro Rooms available by entering the passwords (PROA, PROB, PROC and PROD). 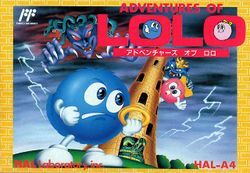 Adventures of Lolo 2 (by Hal America) is a compilation of stages from three Japan-only games. This page was last edited on 27 December 2017, at 13:46.